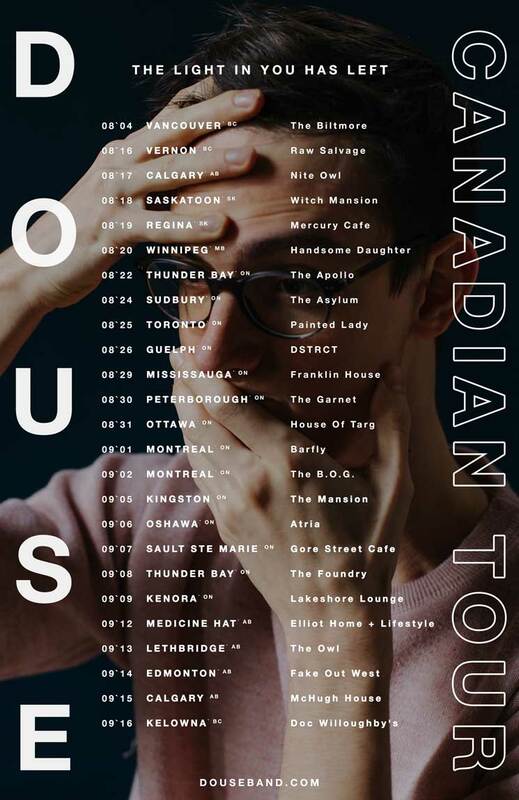 Having completed a trek through Western Canada earlier this year, Vancouver art-rock trio Douse are now gearing up to take their debut LP The Light in You Has Left across the country with a lengthy national tour. The month-long run of dates will kick off in Vancouver at the Biltmore Cabaret on August 4, where Douse will share the stage with ACTORS and Jo Passed. From there, the band will move eastward with stops in Alberta, Saskatchewan, Ontario and Quebec. Find the complete tour itinerary below, and stream The Light In You Has Left here. 09/02 Montreal, QC - The B.O.G. Douse "Speak to Carry Us"